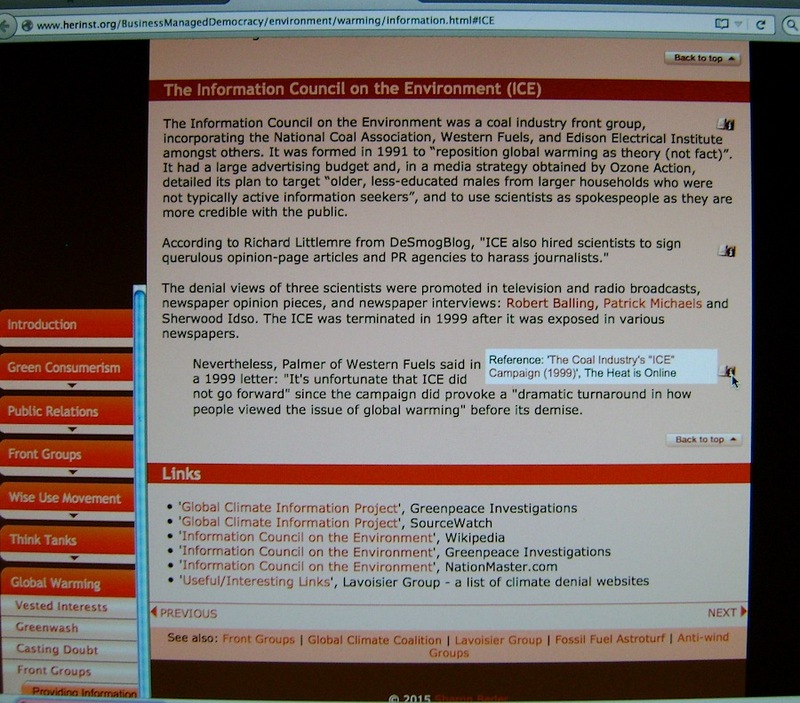 So, imagine you are just an ordinary citizen who might have seen a mention of disinformation campaigns rampant in the global warming issue, perhaps even seeing the “reposition global warming as theory rather than fact” phrase spelled out in connection to the Information Council on the Environment. Yep, the Wikipedia entry about it gives a chilling cursory account of it, Desmogblog tells the tale of several sinister disinformation campaigns (which I’ve also already analyzed), and the third Google search result, Australian professor/lecturer Sharon Beder’s site, seals the deal on the length of the ICE campaign and implies unfavorable newspaper reports about it caused it to end. That is, it seals the deal so long as nobody questions its assertion about ICE being broken up in 1999, or questions anything else stated on that page. 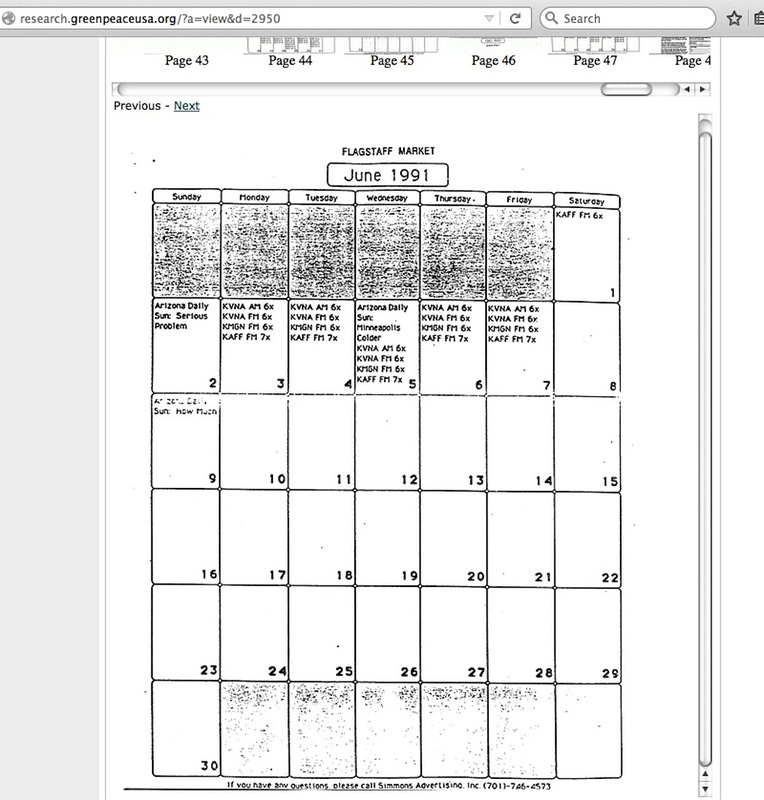 Check deeper into the situation, and problems arise immediately, such as David Helvarg’s November, 1996 mention of its end and what stopped it in his “The Greenhouse Spin” article at The Nation magazine (full context here or here, pgs 3-5). The l.C.E. 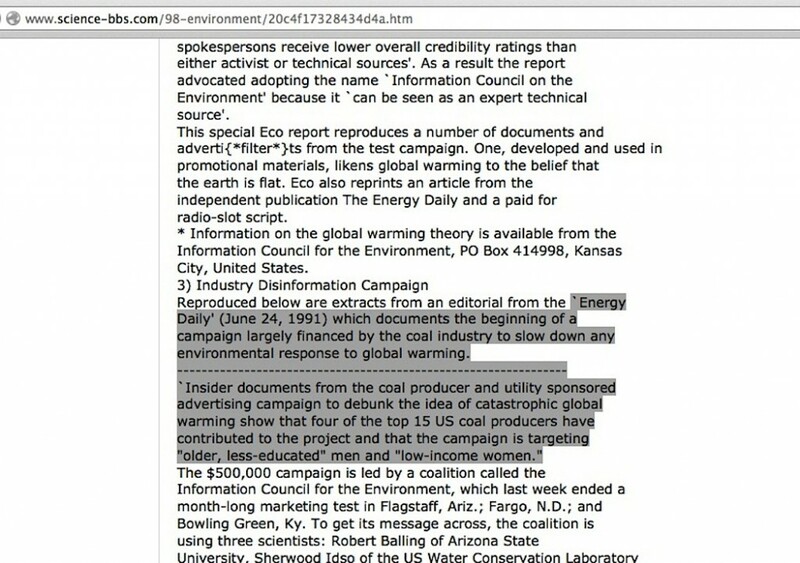 campaign lasted six months, and then was terminated by the Western Fuels Association. Ms Beder is only off about the length of the ICE campaign by eight years and seven months. But how about her claim that bad publicity ended it? 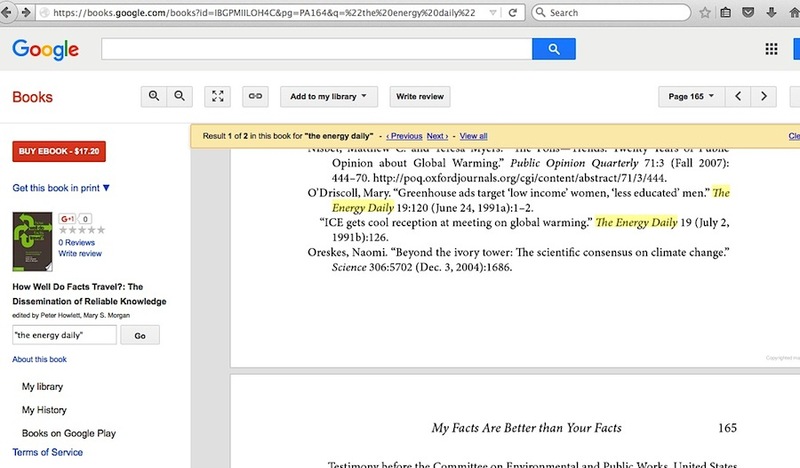 Mouse over the icon at her page and it shows her citation is Ross Gelbspan’s “The Heat is Online” page. I’ve already – notice the pattern here? – dissected the faults with Gelbspan’s claim about particular newspapers causing the ICE campaign to stop when they exposed it. Not only did Gelbspan get two of the publication names wrong in a significant way, the only publicly available evidence of ICE campaign actions doesn’t support his claim in any helpful way. The existence of the ICE memos was publicized worldwide by the Union of Concerned Scientists back in July (seemingly to the detriment of the organization). 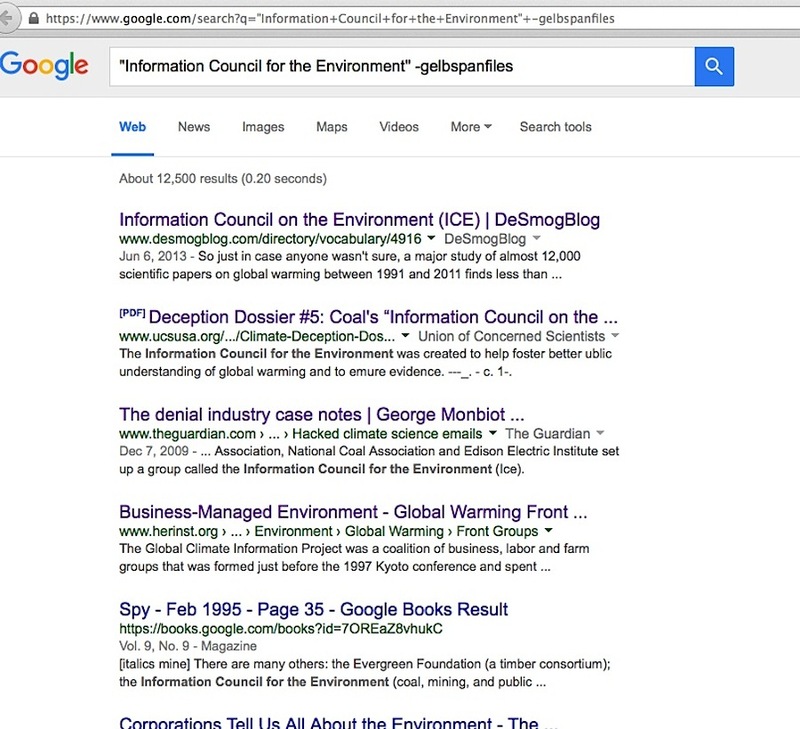 Prior to that, the only other major public link to the ICE memos was one 22 years in the making ….. apart from my own numerous links to than at what I termed the “Greenpeace USA née Ozone Action” location for them. Notice how the UCS’ memo collection leaves out the first page of the Greenpeace collection. June 9th, 1991, placement of an ad in the Arizona Daily Sun newspaper. The Energy Daily, June 24, 1991, “Greenhouse ads target ‘low income’ women, ‘less educated’ men”. 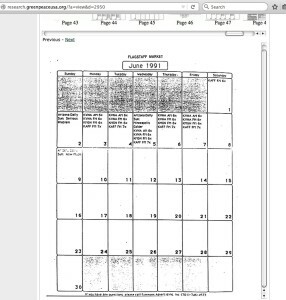 This screencapture is from a newsletter dated June 25, 1991 – notice that its claim about the end of the Flagstaff marketing test was a week earlier. In literal terms, that’s still a day prior to the above Greenwire alert. See the problem? One single newspaper with a current 2015 circulation of 12,000 is the only one which reported on the ICE campaign during its run, Greenwire (at that time a literally weeks-old environmental news service with minimal subscribers) came out with its alert ten days after the last known date of ICE campaign efforts, the trade journal publication The Energy Daily came out with its first report over two weeks after that last ICE campaign date, and the NYT report was out a day short of a month later. There’s more. Being a person with the luxury of time to do my own due diligence, I found and asked three people having a direct association with the ICE campaign when and how it ended. Their recollections was that it was in early June 1991, and that Western Fuels pulled the plug on it with no warning. 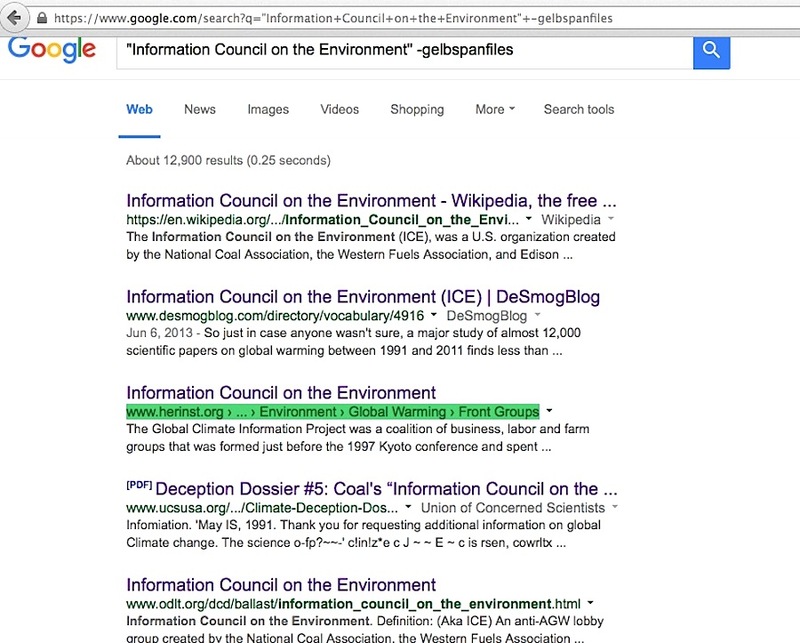 None mentioned a word about bad media reports, and one person, who had not followed the global warming issue with any interest after that, was stunned to hear enviro-activists’ claims of how much influence it had, considering how small and obscure the ICE campaign really was. As a matter of courtesy (and because I don’t have permission to do so), I don’t reveal the names of these individuals. I have every certainty that if this situation ever grows to be a major news investigation or part of a legal action, people independent of me will find the same answers from ICE campaign people. All of this is just one of several problems the Sharon Beder page inadvertently reveals. I’ll dissect another one from that same page in an upcoming blog post. On top of that, there is the acute problem of Al Gore, Ross Gelbspan, Naomi Oreskes, and others claiming a particular subset of the “ICE memos” – the subset with the “reposition global warming as theory rather than fact” phrase – was actually a working part of the ICE campaign. 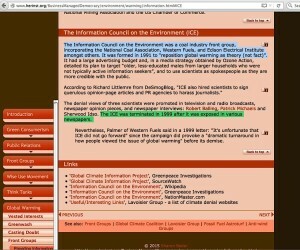 This entry was posted in Information Council for the Environment, Narrative derailment and tagged Sharon Beder, Western Fuels Association by Russell Cook. Bookmark the permalink.